Celebrating all things lavender! Lavender cooking demos, lavender luncheons, vendors selling lavender products, concessions, live music and, of course, wine tasting! Details coming soon to the website. Event is held outdoors on the grounds at Becker Vineyards. Saturday 10 am to 6 pm; Sunday noon to 6 pm. $5 parking fee. “The Power of Form” art show at RS Hanna Gallery, 209 S. Llano, presents new works from sculptor Stevie Jo Lake as well as the gallery’s talented figurative artists Dan Beck, Kevin Beilfuss, Hodges Soileau and Bryce Cameron Liston. Figuratively speaking, this show is not to be missed! Opening reception on May 2 from 6 to 8 pm during First Friday Art Walk Fredericksburg. Call 830-307-3071 for more information. Two years in the making, InSight Gallery, 214 W. Main, hosts artist Teresa Elliott in a One Woman Show guaranteed to wow viewers. 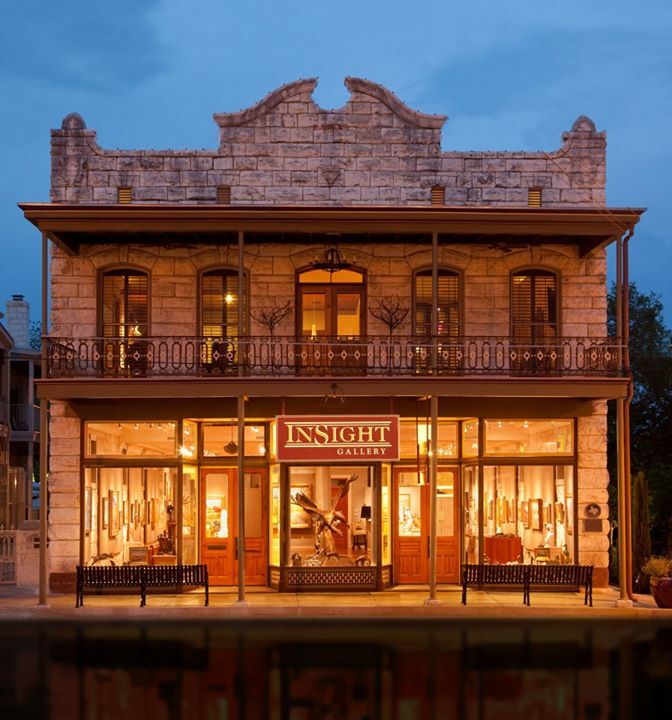 Best known for her extensive group of Texas longhorn and baby bull oil paintings, her work is included in important corporate and private collections across the United States, Canada and Australia. Opening artist’s reception on May 2 from 6 to 8 pm during First Friday Art Walk Fredericksburg. Call 830-997-9920 for more information. Join park rangers Enchanted Rock State Natural Area, 18 miles north on RR 965, for a flint-knapping demonstration in the park. Learn Native American methods of making tools for the hunter-gatherer lifestyle adopted by many of the tribes that frequented the region at and around Enchanted Rock State Natural Area. Bring the family, water, and snacks. If you plan to hike around afterwards, make sure you bring good sturdy shoes. 10 am to 2 pm. Activity is free but standard park admission applies. Call (830) 685-3636 for more information. One Man Show for nationally celebrated artist, Phil Bob Borman at Fredericksburg Art Gallery, 314 E. Main. One of Mr. Borman’s sky paintings will turn an ordinary room into a special event! Opening artist’s reception on May 2 from 6 to 8 pm during First Friday Art Walk Fredericksburg. Call 830-990-2707 for details. Juried show that represents the Art Guild member artists’ interpretation of life in time. Participants include Gillespie and surrounding county artists. Opening reception on May 2 from 4 to 8 pm during First Friday Art Walk Fredericksburg. Awards will be presented at 6 pm on May 2. Fredericksburg Art Guild is at 308 E. Austin. Call 830-997-4949 for more information. Country Store opens at 3 pm. Silent Auction open 3 to 6 pm. Live auction starts at 4 pm. Prize Giveaway Drawings at 6 pm. Barbecue meal served at 6 pm until sold out. All donations appreciated. Proceeds benefit the Willow City Volunteer Fire and Rescue Department. Event to be held at the Willow City Fire Station, 2553 Ranch Road 1323. 3 to 8 pm. Call 830-685-3385 for more information. A poignant coming of age story of Jay and his younger brother Artie as they spend a year with their stern grandmother and her dysfunctional family. Despite living above Grandma’s candy store, there is nothing but bittersweetness in this tale of growing up lost in Yonkers. Tickets available online or by phone. At the Steve W. Shepherd Theater, 1668 S. US Hwy 87. Fridays and Saturdays at 7:30 pm; Sundays at 2 pm. $20 adults; $5.50 youth 18 and under. At the door $25 adults; $7.50 youth 18 and under. A celebration of natural flight saluting the unique wildlife features of the Texas Hill Country offering educational and entertainment opportunities for the whole family. Including lectures, demonstrations, birding, butterfly and bat tours, trade show, nature walks and so much more. Headquarters at Lady Bird Johnson Municipal Park on Hwy 16 South. See the complete schedule of events and register online at www.wingstx.org. Fun filled overnight event to help the American Cancer Society find a CURE! To be held at the Fredericksburg High School Football Stadium, 1107 S. Highway 16. Visit the website to learn more about Relay For Life! Teams are forming now! Friday opening ceremonies at 5 pm; event until 2 am. Call 979-575-7097 for more information. Coming together as a community to show our local volunteer fire department how much they are appreciated. This fish fry benefits the department and helps them be able to purchase needed equipment. Cost is by donation. Please call 830/997-5603 for more information. Tell a firefighter "Thank You!". Listen for the big dinner siren! 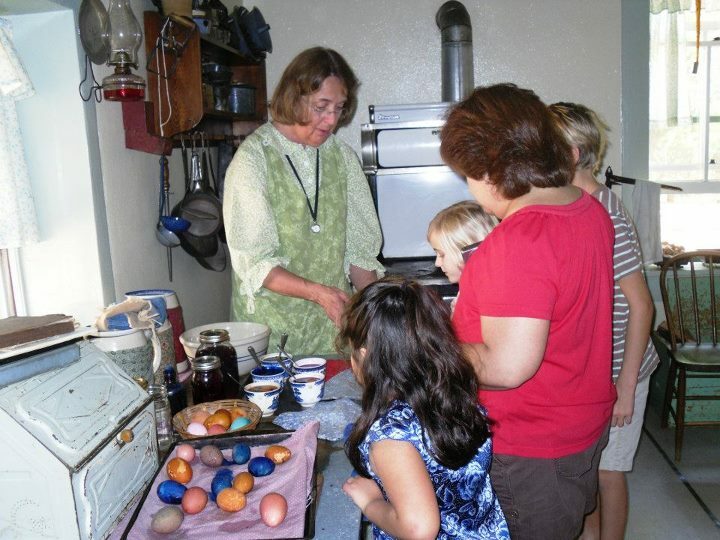 Celebrate Easter with a traditional 1915 German farm family at Sauer-Beckmann Living History Farm at the LBJ State Park and Historic Site on Highway 290 East in Stonewall on Saturday April 19 from 10 am to 3 pm. Natural-dyed Easter eggs, lamb cake and grass Easter nest can be seen as they would have been made by the early settlers. Experience the old-time traditions of friendship card giving and make your own to share. This event is free and open to the public and donations are welcome. Please call 830/644-2252 or 830/644-2455 for more information. Come for some ‘old-fashioned fun’ on the Pioneer Museum Grounds, 325 West Main Street. Perhaps even a visit from the Easter Bunny! Children ages ten and under are invited to an Easter Egg Hunt on the museum grounds. There will be a special area for toddlers. Admission is free. Children must be accompanied by an adult. The egg hunt will begin promptly at 10:30 am. Cookies and lemonade will be served. Join us for the first of its kind Half Marathon in historic Luckenbach Texas, 419 Luckenbach Town Loop. Run through Downtown Luckenbach along the Texas Hill Country’s scenic country roads and back through the Town Loop in Luckenbach. We are proud to partner with and benefit the Leukemia and Lymphoma Society. Please visit the website to register and for more information. Packet pickup at 6 am; race starts at 8 am. Three women, one dynamic show at InSight Gallery, 214 W. Main Street. Susan Lyon tells the story of the people she encounters on her extensive travels with her sensitive, figurative renditions. Michelle Dunaway has captured audiences throughout the states with her mastery of loose brushwork in oils and strikingly delivered charcoal and portrait-style drawings. Denise Mahlke captures the serenity of the pastoral landscapes with soft skies and bubbling brooks. Opening reception on May 2 from 6 to 8 pm during First Friday Art Walk Fredericksburg. Call 830-9997-9920 for more information. Annual spring fundraiser serving up golden fried fish with all the trimmings. Drive through only. 11 AM until sold out. Suggested donation $8 per plate. Stonewall VFD Building, 14854 E. US Highway 290 in Stonewall, TX. Call (830) 889-2006 for more information. Three days of live Texas music at the Legendary Luckenbach Dance Hall, including guest artists Hal Ketchum , Max Stalling , Tommy Alverson , The Tejas Brothers and many more. For the complete lineup of entertainment, please visit the website. $20 per person Friday; $25 per person Saturday; Sunday is free. Call 830-997-3224 for more information. Join local art consultant Sherryl Brown on this bicycle tour that will visit 4 artists’ studios (all studios are in the city limits). An optional lunch at Otto’s will be offered. Group will meet at the Gillespie County Historical Society, 312 W. San Antonio. Artists include Finn Alban, Nancy Bush, John Bennett and Jack Kendrick. 9:30 am to noon. Free. Call (830) 990-9305 for more information. A chance for the public to get up-close looks at a variety of aircraft will be offered during “Airport Day”. Hosting the free event will be the local Experimental Aircraft Association (EAA) Chapter 1088. Expected to be on hand for the day will be several military-type planes, such as the Bird Dogs, which will be flying in formation. The north area of the airport will be open to the general public to view aircraft. Antique automobiles will also be on display. Hamburgers grilled on site and other refreshments will be available for purchase as a fundraiser for local Boy Scouts. Young Eagle flights will be available for youth 8 to 17 years of age. At the Gillespie County Airport. 10 am to 2 pm. Free. 191 Airport Rd off of S. State Hwy 16. Call (830) 990-5764 for details. Follow the Wine & Wildflowers Trail through the Texas Wine Country in its finest hour. Enjoy the spectacular vistas along with the wines born among the bluebonnets and don't forget your camera! Maybe a picnic basket and few friends too? Dally on patios overlooking vineyards while enjoying a picnic with a glass of wine and take in the scenery of vineyards and flowers. Join Friends of Gillespie County Country Schools for delicious pork and chicken barbecue with all the trimmings. Plates to-go or dine-in will be available. Featuring live music by the Polkamatics! Prize tickets will be available. Proceeds to benefit restoration and maintenance for the twelve historic schools. At the American Legion Hall. Former students will be available to share stories of school days from the late 1800′s to mid 1900′s. Come see the classrooms like the one your ancestors might have attended. "Preserving the past to enrich the future." Schools open for this event include the Willow City School, Rheingold School, Cave Creek School, Nebgen School and Junction School. Please come by the Fredericksburg Visitor Information Center for a driving map or visit the website to download a map. 10 am to 4 pm. Free admission, but donations gladly accepted. If there is one thing that is entirely and completely American, it’s country music. Our talented performers will don their finest in country attire and give a two-hour review of the songs that have completely defined the genre. Tickets available online. Fridays at 8 pm; Saturdays at 4:30 and 8 pm. Youth $17; adults $32 – $42 per person.